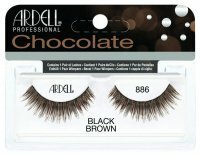 Flawless - TAPERED LUXE LASHES by ARDELL. Luxurious fake lashes on strip. Made of extremely soft, black, selected human hair. Designed for multiple use. 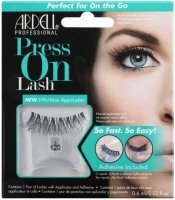 They have pointy ends, making them perfectly compatible with natural lashes while adding volume and length. The product is perfect eye makeup finish. It was made with great precision and attention to detail. Available in 6 variants. Luxurious fake eyelashes lashes on strip. Created with carefully selected human hair. 2. 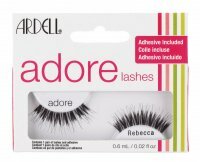 Apply and adhesive to lashes' strip. 3. Wait a moment for glue to dry a little. 4. Apply eyelashes starting from outer corner of eyes, leading them just above line of your eyelashes and inwards. 5. Gently press eyelashes to eyelid. 6. Combine false lashes with natural ones, catching them between fingers and pressing one against the other. * Adhesive is not included in the set.